A long time ago, phones used to have a really great battery life. Then powerful big-screen smartphones took over, and suddenly you had to charge your phone more than once a day. A lot of that problem was down to the screen itself, and as screens got bigger and bigger the problem became more acute. Not every type of display is a power hog though, and electronic ink displays such as those found on e-readers offer much better battery life. But while displays such as that are good for reading text, for a lot of other applications they are not usable because of their slow refresh rate. So you can’t really fix the power drain problem of smartphones with electronic ink displays. 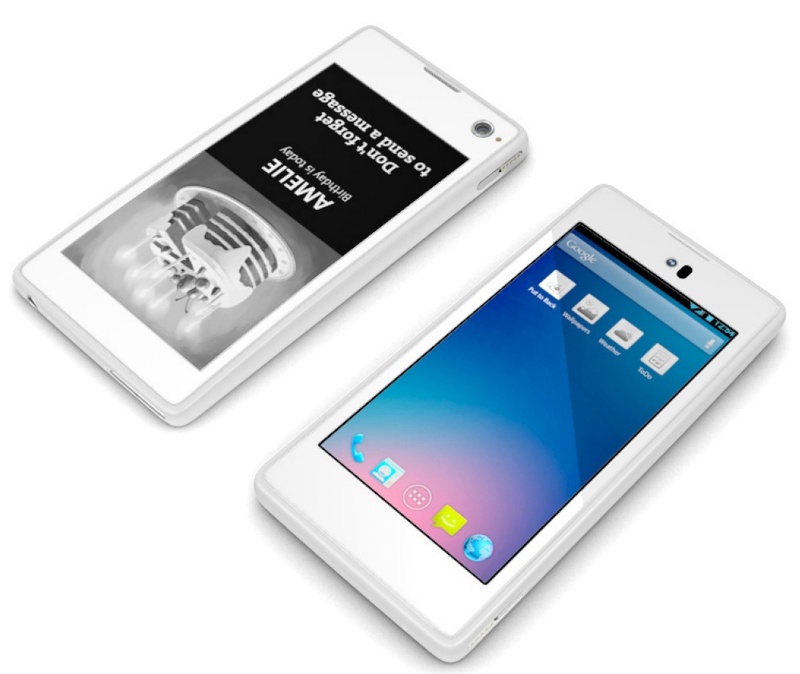 Russian company Yota had different ideas, and their approach was rather radical – give the phone TWO displays. The YotaPhone had a traditional 4.3” LCD panel on one side, and on the other a 4.3” 360 x 640 pixel capacitive touchscreen electronic ink display. The secondary display was designed for things like notifications, email, calendars and other reasonably static displays. Some clever software trickery was required to do this, but otherwise the YotaPhone was a pretty standard Android smartphone. Although it was announced in December 2012, it took nearly a whole year to get to market, finally shipping in November 2013. The €499 price tag was somewhat expensive, but it found a market niche and its own fan base. In February 2014 the YotaPhone 2 was launched with some much needed improvements and in 2017 the YotaPhone 3 followed.